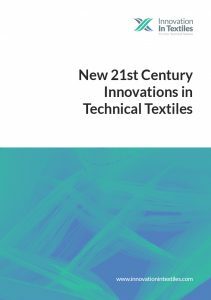 Since the first edition of 21st Century Innovations in Technical Textiles was published in 2013, there have been significant developments in virtually all of the fields it covered – from basic polymer and fibre science breakthroughs to the processing technologies which will have a momentous role in shaping the future. A significant amount of textile research and development, for example, continues to be carried out today under extremely powerful microscopes, as a consequence of the exciting and far-reaching possibilities of nanotechnology. Now the push is towards effective industrial- scale production technologies that will make nanofibres and what’s being developed from them in laboratories commercially viable. The biopolymer revolution that was well underway in 2013 has, it must be said, stalled somewhat, because the continued low oil price is curbing the need for drastic developmental action. Nevertheless, biopolymers are poised to have a tremendous impact on the fibres and fabrics of the future. Oil still won’t last forever – and certainly not at $40 a barrel. Technical fabrics are proving central too, to the global push to replace steel and gain fuel efficiency in the car industry, following the success of fibre-based composites in the latest Airbus and Boeing planes. They are also crucial to the unbelievably long composite wind turbine blades now being put into operation. On the technology front, the tremendous advances in digital printing claimed the spotlight at the 2015 “textile machinery Olympics”, ITMA 2015 in Milan, while 3D printing, or ‘additive manufacturing’ has attracted considerable media attention recently, promising a radical approach to making just about everything – and without waste too.